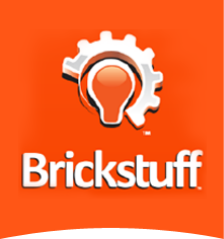 Brickstuff Guides - Brickstuff-- Small Lights for Big Ideas! In addition to the printed documentation provided with each of our products, we are committed to publishing and updating a rich collection of expanded guides online. We use the Dozuki platform to build these guides and to make them available on portable devices like iPads. The guides are visually rich, with many more detailed photos than we are able to include in our printed manuals. The guides can also be annotated and improved by our community of supporters, so they can evolve over time as people discover more amazing ways to use our products. In addition to product guides, our online collection also includes idea books, and over time will expand to include "tips and tricks" books, parts lists, and catalogs. Click on the book below to visit our online guides site, and as always, let us know what you think! Take Me To The Guides!